Hundreds of visitors to Hickling enjoyed imaginative scarecrow displays which graced gardens and open spaces throughout the village at the weekend. Each year the festival has a special theme. And this year villagers responded to the challenge by coming up with brilliant and amusing scarecrows depicting characters from nursery ryhmes and fairytales. Margaret Wooley, who is a member of the organising committee, said: “We had 56 displays, all different and all unique. “The weather was foul and cold on Sunday but lovely on Saturday afternoon. “Other highlights included clog dancers, a street chariot parade and race, a Punch and Judy show, childen’s games and a Hickling hop and hog roast event. 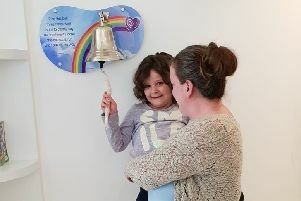 “The festival is in its 17th year now and raised funds for Marie Curie and the building of a parents’ room, for the children’s ward at the Queens Medical Centre in Nottingham.